Honesty and Integrity: Are they outdated values? I have always been proud that I lived in a country that prided itself on its integrity and human rights policy. Now, with tweets of “Fake News” or alternate facts, of withholding truths, of outright lies especially under oath, of hiding suspicious and possibly illegal financial dealings by those in public office, I find myself questioning the importance of honesty and integrity. For me, this also brings into question our relationships: with our loved ones, our partner, our community, or public leaders, and with ourselves. Without relationships human experience of life as we know it wouldn’t exist. Our culture is based on cooperation, negotiating, mutual support, and working together. Without relationships our culture would be very different. Even war and conflict involves the experience of relating, or not relating. Relationships are of course complicated and have many elements – but there is one element that binds relationships together. That fundamental element is trust. How do you build trust in your relationships – including your relationship with yourself? Strive to live your life adhering to two values: Honesty and Integrity! Honesty: Be true to others in all that you do. I had two very important relationships in the past. They both were not always truthful with me. The mistruths, deceptions, and outright lies, even the little white lies, eventually broke my trust. Once that trust was broken, I couldn’t get it back. At my core I no longer trusted either of those people. Eventually, the lack of trust destroyed both relationships. What happens, then, when our public leaders withhold truth, lie, engage in suspicious or illegal financial dealings, or consistently make accusations of others misconstruing the truth? Do we continue to make excuses for them, claiming they have done some good for the country so they are still OK? Do we continue to hope there is at least some truth in what they are saying or doing? Do we turn a blind eye to the suspicious dealings and go about our business? Or do we hold them accountable and keep insisting on the truth? Integrity: Be true to yourself in all that you do. All people have the right to life, liberty and the pursuit of happiness. Be compassionate to those in need. People have the right to be free of discrimination based on race, color, gender, national origin, age, religion, creed, disability, veteran’s status, sexual orientation, gender identity or gender expression. Why are these values so important? First, the greatest personal achievement, I believe, is to live your life in such a manner that you are happy with who you are. If integrity is absent, can you truly be happy with yourself? Sure, you can pursue pleasure, you can party, have fun, and buy things that bring you enjoyment … but will that bring you a deep sense of self-satisfaction and fulfillment? Without those things – if you engage in lies, indulge your greed and quest for power in ways that are harmful to others – can you actually be happy with yourself? If honesty is lacking, then you end up having to lie to yourself, or exaggerate the truth, to justify your own actions. When you lie to yourself, you violate your integrity. Without integrity the path to authentic happiness and fulfillment is blocked. There will always be that lingering feeling of guilt or even shame that will put a damper on deep personal self-satisfaction. If you can’t be honest with the people in your life, you can’t develop long-term meaningful relationships because trust will eventually be eroded. No matter how skilled you are at deception, the truth eventually reveals itself. When it does, trust is lost just like it was with my two relationships. Without trust the relationship decays from within, like a cancer. This is why I can’t support statements by public leaders that seem to shift with the wind. Why I question the integrity of those who turn a blind eye to questionable financial dealings and shifting “facts.” Why I can’t support closing our borders to refugees escaping the horrors of war or the danger of terrorists and persecution. Why I can’t support billions of dollars being invested in a wall to separate us from our neighbors, when these same neighbors are so desperate for employment they will take our most menial of jobs. Not to mention that this wall will siphon off funds from much needed programs that can help our own children, seniors, and the ill and vulnerable. 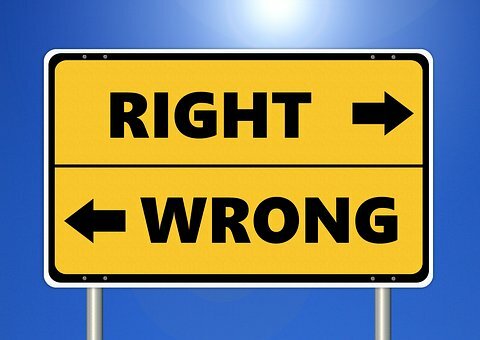 If you believe taking a shortcut, sacrificing your integrity, and living out of alignment with basic values will somehow get you more money, success and security or even more fun and pleasure, think again! You’re probably thinking short term. In the long term, violating trust with others or with your self is the surest way to failure. In addition, remember to never confuse pleasure with happiness … they mean different things and carry different values. Pleasure is a short-term feeling, while happiness is a long-term element of the human experience. Of course, your values and the meanings you attach to honesty and integrity can be different from mine – but regardless of how you define these values, I strongly urge you to take a serious look at how you apply these values in your life, your business, your relationships, and your responsibility to the world. Short-term results may be deceiving –think about the life you want to create … the person you want to become… and the world you want your grandchildren to inherit. Are you experiencing a toxic relationship? It might be a quarrelsome in-law or relative that you have to see on a regular basis. Or an intimidating boss that you report to. Or it might be a domineering co-worker who makes too many suggestions about how you should do your job, or a friend who offers way too much advice. If you are struggling with a toxic relationship, then here information you might find helpful. It was shared in an article that was published last year in Yes Magazine. follow these five steps to find peace for yourself. Your choices here are fairly limited, and, strangely, acceptance is always the best choice. You can judge and criticize the other person, but that will probably make you feel tense and lonely. Alternately, you could nurse your anxiety and despair that you’ll never be able to get along with them, which will make you feel stressed and sad. You can definitely deny their existence or pretend that they aren’t bothering you. You can block their texts and emails, and avoid every situation where they’ll turn up. These are all tactics of resistance, and they won’t protect you. These tactics will allow the other person to further embed themselves into your psyche. What does work is to accept that your relationship with them is hard, and also that you are trying to make it less hard. This gentle acceptance does not mean that you are resigned to a life of misery, or that the situation will never get better. Maybe it will—and maybe it won’t. Accepting the reality of a difficult relationship allows us to soften. And this softening will open the door to your own compassion and wisdom. Trust me: You are going to need those things. This is not true. You are not responsible for their emotions. You never have been, and you never will be. Don’t take responsibility for their suffering; if you do, they will never have the opportunity to take responsibility for themselves. When you lie (perhaps to avoid upsetting them), you become complicit in the creation and maintenance of their reality, which is poisonous to you. For example, they might ask you if you forgot to invite them to a party. You can easily say yes, that it was a mistake that they didn’t get the Evite, and did they check their spam folder? But lying is very stressful for human beings, maybe the most stressful thing. Lie detectors detect not lies, but the subconscious stress and fear that lying causes. This will not make the relationship less toxic. It takes courage to tell the truth, because often it makes people angry. But they will probably be mad at you anyway, no matter what you do. They almost certainly won’t like the new, truth-telling you—and that will make them likely to avoid you in the future. This might be a good thing. It’s normal to want to defend yourself, but remember that anger and anxiety weaken you. Trust that soothing yourself is the only effective thing you can do right now. If you need to excuse yourself, go ahead and step out. Even if it is embarrassing or it leaves people hanging. Forgiveness takes this kindness to a whole new level. I used to think I couldn’t really forgive someone who’d hurt me until they’d asked for forgiveness, preferably in the form of a moving and remorseful apology letter. But I’ve learned that to heal ourselves we must forgive whether or not we’re asked for forgiveness, and whether or not the person is still hurting us. When we do, we feel happier and more peaceful. This means that you might need to forgive the other person at the end of every day—or, on bad days, every hour. Forgiveness is an ongoing practice, not a one-time deal. Here’s the real miracle: Our mercy boomerangs back to us. When we show radical kindness, forgiveness, and acceptance—and when we tell the truth in even the most difficult relationship—we start to show ourselves those things. We realize that we can love and forgive and accept even the most terrible aspects of our own being, even if it is only for a moment. We start to show ourselves the truth, and this makes us feel free. And, in my experience, this makes all we have suffered worth it. This article was originally published by Greater Good. It was edited for YES! Magazine. If you find you are struggling with a toxic relationship then please contact Joy to discover how to have healthier relationships. 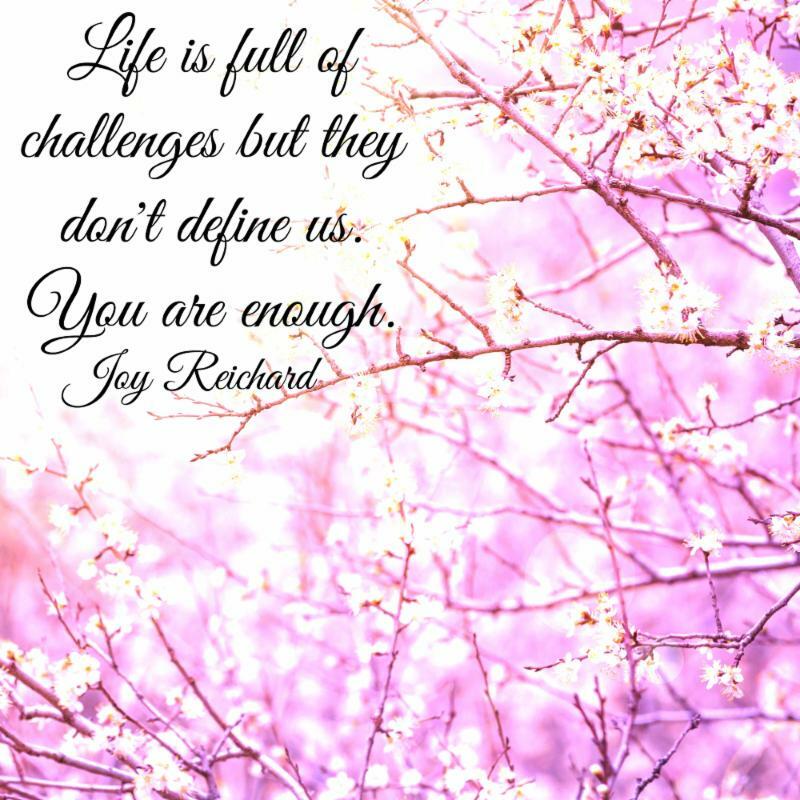 Call Joy at 415-819-8769 or email Joy today. Daily each of us is becoming more aware of just how polarized our country has become. Some are applauding our national leaders’ actions; others are horrified and taking a stand by signing petitions, calling State and US Representative, or are out there protesting. Then, however, there are those, many of us, who are just upset, angry, fearful, depressed or anxious on either side of the deep divide that is daily becoming even more polarized. No matter what side you are on, going into these intense polarized states are harmful for you, your community and our nation because polarizations knocks you off your center interfering with your ability to think clearly, stay emotionally balanced, and to act with wisdom and compassion. All of these low vibrational feelings are feeding the mass collective consciousness with fear, anger, rage and hate. It doesn’t matter what side you are on, the negative vibrations feed into the same mass collective consciousness which has a negative effect on everyone. All of this has become very personal because I’m feeling all of these emotions and turmoil myself. I’m trying to stay centered, but sometimes, most of the time recently, it’s been very hard. Awhile back a friend shared with me an article from Wall-of-us Weekly Actions on how to stay centered when things get difficult. It was a good reminder for me around what I can do to stay calm and centered inside even when things are chaotic and contentious in the world around me. I thought you might benefit from them too. 2) Air your concerns. Talk to like-minded friends about your fears or concerns. Make a pact that whenever something happens on the national platform, or someone says something seemingly insane, you can be each other’s sounding boards. Also make a pact to not escalate into a heated, hate-filled discussion, but to listen and empathize. I am grateful for each of my friends. We have kept each other balanced when our world has gotten too overwhelming for us to handle calmly. 3) Get physical. Walk, run, swim, soccer, skate, or whatever suits you. Get out of your head and into the sensations of your body. As you exert energy, see if you can expel negativity that you are carrying from the latest news. 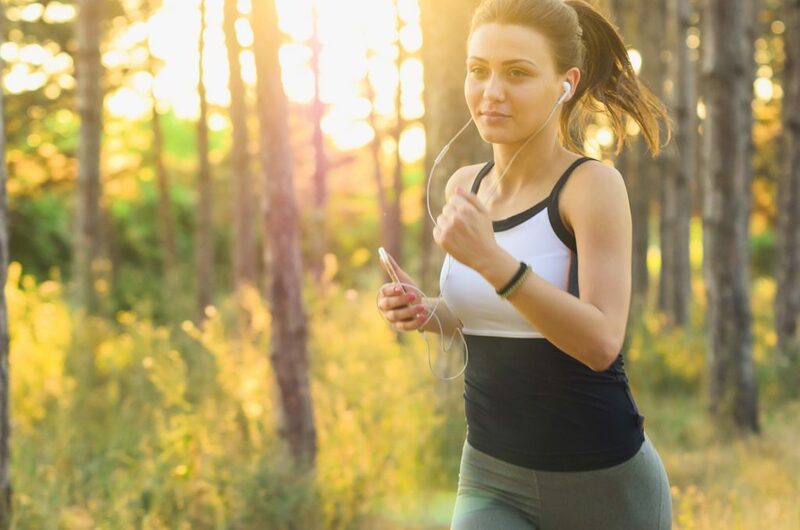 Exercise helps you to release your endorphins which are your “be happy” hormones. 4) Use mindfulness techniques. Sit quietly and focus on your breathing. Slowly take in a deep breath, hold it, and then exhale very slowly. Try to relax your shoulders and muscles as you do this. Close your eyes and notice the thoughts, feelings, images, and bodily sensations that emerge. If you notice that your mind wanders, name what it’s wandered to (shopping list, to do list, etc. ), then see if you can redirect your focus back to your breath. Allow any emotions (joy, sadness, fear, excitement, for example) to be present without judgment. Let the feelings move through you. Return to your breath. 5) Be grateful. Every day talk to a friend or write down something(s) for which you are grateful. Being grateful is a way of owning your power. No one, not even our national leaders, or parents, or friends, or colleagues, or an angry populace, can take that away. 6) Pray to your higher power and to the guides and masters who are working with our national leaders. Ask that our leaders be blessed with the wisdom, discernment, compassion, and insight to make the best decisions that will serve the highest good and be of the greatest benefit and joy for our nation, the people, humanity, and our great mother, the Earth. I wish you balance, centering, discernment, inner peace, love and compassion as you walk your journey on this earth plane during these turbulent times. If you are having difficulty staying centered, positive, and hopeful, then call Joy for a complimentary 30-minute consultation. 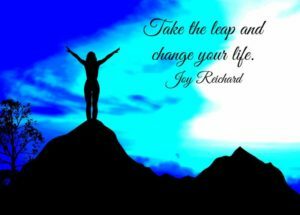 Learn how Joy can help you maintain balance, clarity, and a positive attitude so you can be the most effective YOU possible, even during challenging times. 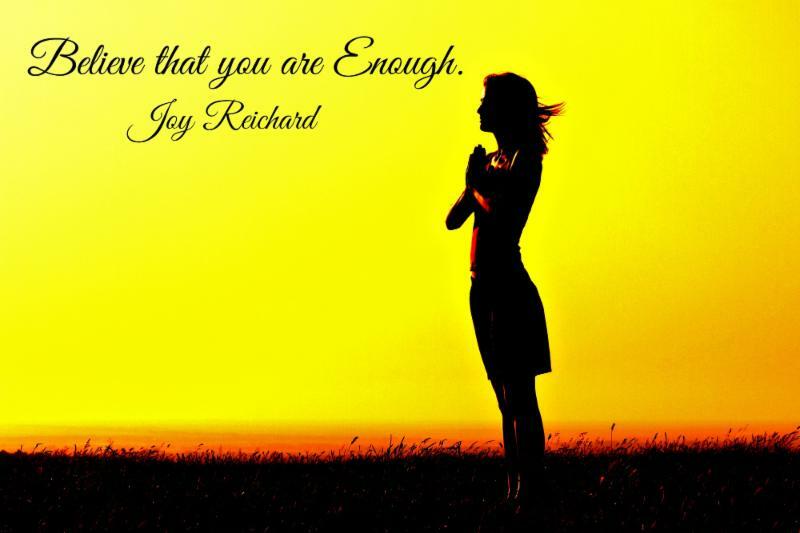 Call 415-819-8769 or email Joy today! Mother Mary, the Queen of Heaven and the Divine Mother, has been with me this last month as we approach the Winter Solstice on December 21, 2017. On this day, in the Pagan tradition, the world celebrates the birth of the Divine Child. Just four days later, on Christmas,the birth of Jesus, the Christed One, is celebrated. 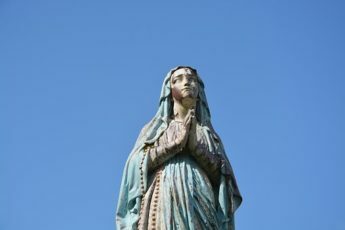 Debates and discussions about the nature of Mother Mary have raged on for 2000 years until in 1965 when a Catholic Council called the Vatican II demoted Mary to little more than a Nazarene housewife, a country woman, a human vessel that served as the gestating container for a divine seed, and little more. 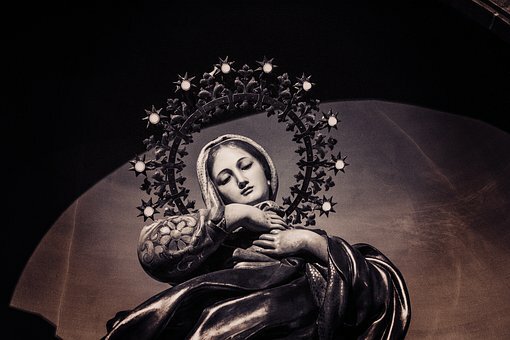 Yet in the hearts of the people, as she has been depicted in art throughout the ages, there has been a longing to connect Mother Mary with the Great Mother whose compassion and mercy comforts, supports, and nurtures those who seek her out. Mother Mary has filled the void of the Mother Goddess that I believe is central to our human collective unconscious. Since Paleolithic times, humans have honored the Great Mother. 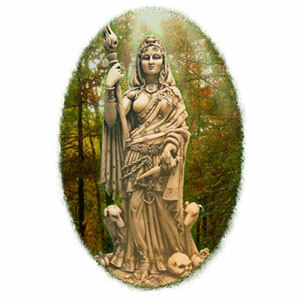 Within 500 years after the Divine birth of Jesus, as the cults of Isis, Cybele, Artemis and Diana dwindled along with the Roman Empire,the ancient goddess temples were rededicated to Mother Mary. Even the imagery of the older goddesses was passed on to Mary, the Mother of Jesus, the Christed One. In addition, 21,000 visitations of Mother Mary have been cited in the last thousand years, including the visitation of Our Lady of Guadalupe in 1531. These visitations of the Blessed Mother strongly support the need for the Sacred Feminine principle that lives on in our collective psyche. 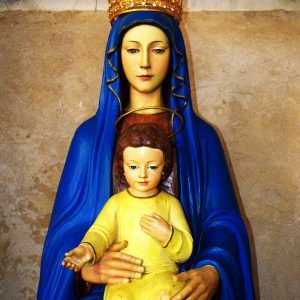 The importance of Mary is more than her stature, her part in history, or religion, or culture. It has to do with our personal relationship with Her as the Divine Mother – the ‘knowing’ experience of Her compassion, mercy and grace. It is a felt experience that can’t be expressed with language or logic. Her image as Queen of Heaven and as the Great Mother Goddess archetype endures because it continues to persist in our collective human unconscious. The Great Mother has, and will continue to, prevail. She has survived 5000 years of patriarchy and 4000 years of the worship of the monotheistic male god. 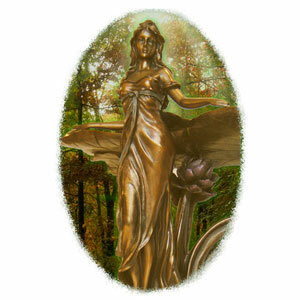 She will survive because, as a Divine symbol of the Feminine, She is part of the balance of nature. Nature always settles back to its equilibrium. The fulcrum under patriarchy pitched far to the right. 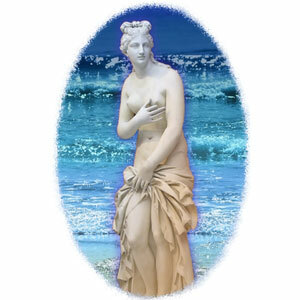 It is now floating back to center as the Divine Feminine principle is re-claiming Her rightful place beside the Divine Masculine principle. The Great Mother is present in the image of Mary, the Mother of the Divine Child who brought Christ Consciousness to aid humanity in its evolution. 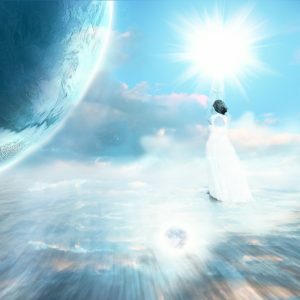 I was inspired to gift you with a “Love and Light Visualization with Mother Mary” which I created a few years ago in honor of her. You will find the link below. May this visualization with Mother Mary surround you with love, light, and peace. Click HERE to download. In honor of the Divine Mother, I am leading a Circle honoring Mother Mary as the Return of the Mother Goddess. It will be held on Wed December 19, 2018 – read more HERE. If you want help connecting to the Divine Feminine, please contact me for a 30-minute complementary consultation. I would love to help you live a happier more purposeful life. 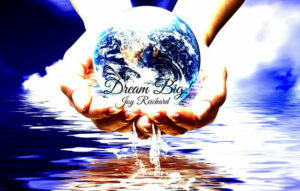 Please contact me today by emailing me at joy@joyreichard.com or calling 415-819-8769. BE S.M.A.R.T.! PLAN FOR 2019 NOW! I’m active in an organization that has critical goals that must be achieved by June 2019. We had a heated debate on whether to begin strategizing and implementing now, or wait until January. Many were advocating for January, reasoning that people were already moving into the holiday mindset and would be too busy. Yikes! 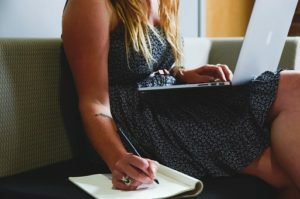 Having been a self-employed business woman for 15 years I was dismayed! Now is the absolute perfect time to develop your strategies for the New Year. Then, when January hits, the details have been firmed up and you’re ready to go full steam ahead. Many of us are perplexed as to just how fast the Holidays are approaching. This year seemed to fly by! With the days getting shorter and the Winter Solstice less than 2 months away, it’s the perfect time for reflection, assessment, wrapping up of the old year, and gestating ideas for the New Year. This is the best time to review your accomplishments and begin setting your goals and objectives for next year. Like most people, my holidays can get crazy! Yet taking time out to thoughtfully assess my successes, acknowledge my incompletes, discern what I can let go of, and determine what I want to accomplish in the New Year helps me end the year with a sense of satisfaction. It helps me stay grounded and focused during the whirlwind of activity and fun with family and friends. Then when the New Year arrives I can truly celebrate because I’ve already been gestating my goals and objectives. I know where I’m heading and what I need to do in the upcoming year. I highly recommend this introspective practice of making your plans for the New Year. The benefits you reap will far outweigh the time it takes! If you’re curious about the process, I’d love to share what was given to me by one of my mentors. First, find some quiet time where you do nothing but reflect and think. For me, the best time is during meditation. You might prefer a leisurely walk or sitting quietly with a latte at a coffee shop. Whatever works for you is great, but the idea is to set aside time to be alone with your thoughts. Then reflect over your year and fantasize about what you’d like to accomplish next year. I’m reaching a point where, if something feels too hard, or too much work, I pass. Instead I let my mind float to those things that excite and enthuse me. I can tell when I start to feel energized because the juices start flowing. I can’t wait to sit down at my computer, or with pen and paper, and start jotting down my ideas! I bet this will happen to you also. This is the “brain dump” stage. Don’t worry about the order or time frame. Sometimes you might get all your ideas down at once. Other times you might find that you’re updating, revising, expanding, and deleting parts of your list over several days. It’s all good! You primary focus is to get down all the ideas and goals that feel exciting and energizing. Now is the most challenging step. 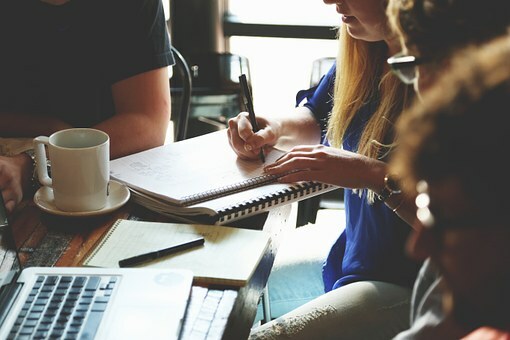 It’s time to strategies just how you’re going to implement your great ideas by organizing them into goals and the steps, or objectives, which need to be completed in order to achieve your goals. Oh! BTW they should be S.M.A. R. T. goals. What? What’s a S.M.A. R. T. goal? Specific – This means you should have a clear understanding of what it is that you will do and what the end product will look like. For example, last year my goal was to continue doing a weekly e-zine providing useful information to my following. A weekly e-zine is a specific goal, and the e-zine itself is the end product. 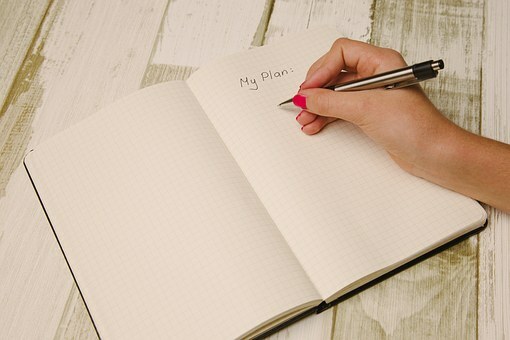 It’s OK to change your goals mid-year if a better idea presents itself. Midyear I switched from a weekly e-zine to a monthly one and sent out event notices as needed. I realized my weekly e-zines were overwhelming my peeps who were already inundated with emails. I decided to go for quality, not quantity. 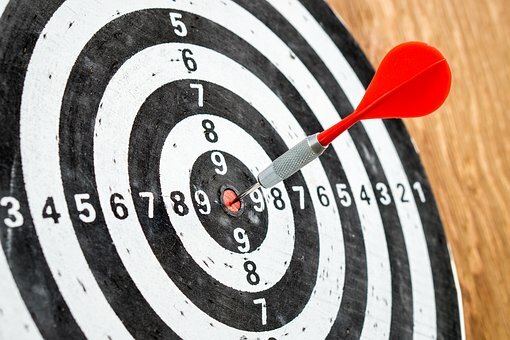 Measurable w/Measurement – This means you should have some idea as to whether you will meet the goal or not. For example, I was about 90% successful in getting out a weekly e-zine and 100% successful in getting out a monthly one. Considering I’m human and have a busy schedule, I feel good about achieving that goal. Achievable – This means that there is a high probability that you can be successful at achieving your goal. For example, since I’ve been 90% successful in getting out a weekly e-zine and 100% when I switched to a monthly goal, it was an achievable goal. Relevant – This means that your goal should serve a purpose, or have an impact. For example, my purpose was to share useful information. I frequently receive positive feedback on the information I share in my e-zines. Therefore they have relevance. Time-Oriented – This means, “When will you achieve this goal? What is the start and end date?” For example, the time-bound goal for my e-zine was ‘weekly.’ When I switched to monthly, I still retained a time-bound goal. Evaluating your goals to make sure they are ‘S.M.A.R.T.’ will help you stay practical and reasonable about what you can accomplish so you don’t fall victim to overwhelm and either burn out, get sick, or give up! Once you’ve evaluated your goals, then start organizing them into 3, 6, 9, and 12 month goals. Now it’s time to begin identifying and scheduling monthly (or weekly if you are highly motivated and ambitious) steps or objectives. At this stage I tend to drill down and organize my goals and objectives for just 3 months at a time. I always keep the larger perspective in mind, but I’ve found that ‘life happens while we’re busy making plans to do something else.’ Goals and objectives often need to be fine-tuned and re-evaluated as the year progresses. One year I had knee surgery, another year I fell in love (not a good excuse to being knock off track, but I had fun! ), and another year the recession hit. It’s important to keep some flexibility in your schedule so you can adapt and re-assess as needed. Set aside a regular time to review your goals and objectives. This will help you stay on track, making it possible to hit your targeted goals in a timely manner. On the first day of the month, or week, doing a quick review of what’s on your schedule will help you with your progress so you can have a productive month, and a prosperous year! With everything else that you have on your schedule, I can hear many of you groaning about having one more thing to do! But I promise you, if you take time to do this, not only will you complete your year on a high, but you will ensure that you have a more successful, prosperous, and happier New Year. If setting your goals and objectives for the New Year feels too overwhelming, then give me a call and schedule a complimentary 30-minute consultation to find out how I can help you get organized and on track for a prosperous 2019. Call Joy at 415-819-8769 or email me today!